Oliver de la Paz is the author of three books of poetry: Names Above Houses, Furious Lullaby, and Requiem for the Orchard. 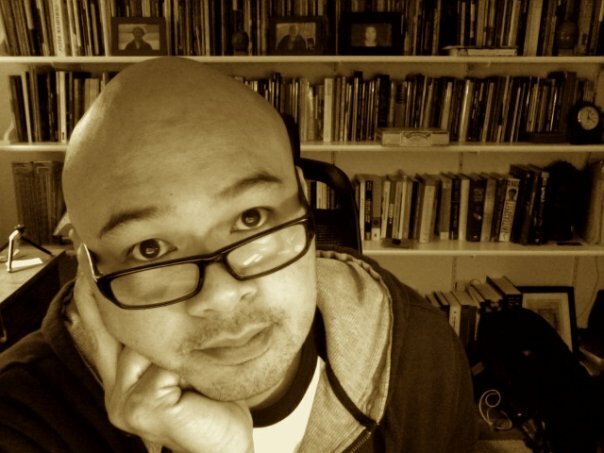 He is the co-editor of A Face to Meet the Faces: An Anthology of Contemporary Persona Poetry with Stacey Lynn Brown, and co-chair of the Kundiman advisory board. A recipient of grants from NYFA and the Artists’ Trust, his recent work has appeared in the New England Review, Sentence, the Southern Review, and elsewhere. 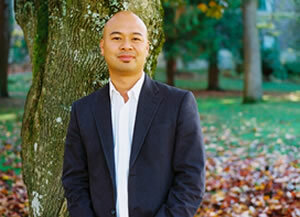 He teaches creative writing and literature at Western Washington University. LR: Who were your earliest influences as a young poet? Was there a momentous decision to pursue this career? OP: I’ve got a lot of early influences so I’ll name a number of firsts. My very first poetry book was The Selected Poems of Robert Penn Warren. When my parents first arrived in the U.S. they became subscribers to Readers’ Digest and part of the subscription deal was to receive three gift books with their subscription. One of the gift books was Robert Penn Warren’s book. So apart from my mother’s medical texts, I was pouring over Robert Penn Warren’s poems, not really understanding what was happening in them, but having a profound curiosity over the work. The first poetic influence that affirmed I could be a poet was Li-Young Lee’s first book, Rose. I was deciding between continuing a career in the sciences, or pursuing poetry. At the time, I was a care provider in a supported living home for the developmentally disabled and an EMT. I had a lot of time to read because the main client I worked with slept a lot due to the meds. So I read long into my shift. I imagine that was when I decided to pursue the life of letters. I wasn’t really excited about the lab work or the medical work I was doing, and I was feeling quite invigorated by all the poetry I was reading. 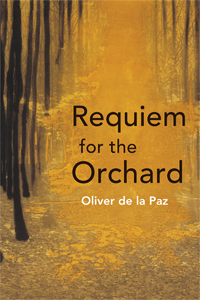 Oliver de la Paz’s third collection, Requiem for the Orchard, is a poignant reminder of both our inability to escape our pasts and our ability to re-write our histories through what we choose to remember. The pieces in this collection are interconnected by the speaker, a young man reflecting on his disenchanted youth. Part meditation on the ways our experiences inform who we are today, part meditation on the ways we cannot shed those experiences despite our efforts, the collection centers around the speaker’s youth spent in a small Oregonian town where he worked a summer job in the orchards. opening and closing and opening again to catch the wind. De la Paz shows that what lasts through time may not be what we expect, but may instead be the mundane or everyday, and that the speaker’s bitterness has disappeared as he reaches peace with his past. His descriptions of his youth are factual and concrete; the absence that now replaces his anger is beautifully captured in the image of the flapping wing. But to reach this acceptance the speaker must also mourn what is gone. Throughout the collection are a number of poems entitled “Requiem” that truly sing of loss. Although they are ostensibly about the loss of the orchards, they powerfully capture the loss of youth itself. One of these opens with a series of questions that succinctly show the way the loss of the orchards is intertwined with the loss of youth, how the memories for one are tied with memories of the other: “Where lie the open acre and all limns? Where the shade / and what edges? What serrated blades and what cuts? / Where are we, leather-skinned, a spindle of nerves / and frayed edges? What spare parts are we now / who have gone to the orchard and outlasted / the sun and the good boots?” (page 71).